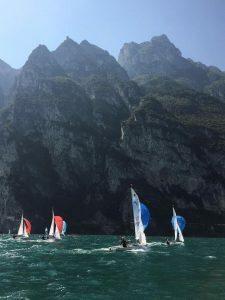 Although 2017 is not yet over the International 420 Class Association have announced details of the venues for the 2018 Junior Europeans and World Championships. The 2018 420 Junior Europeans will be held at Clube Naval de Sesimbra on the 3rd to the 11th July, Sesimbra is south of Lisbon in Portugal. The 2018 420 Open, Ladies and U17 World Championships will be in Newport Rhode Island, USA from the 8th to the 15th August.